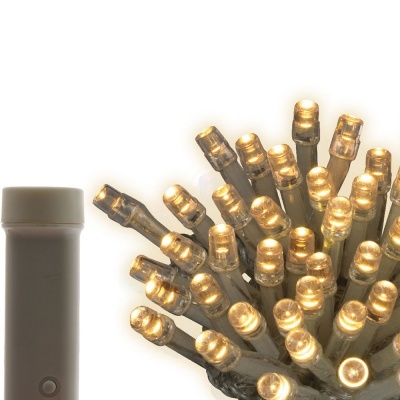 Kaemingk Durawise Twinkling Lights 48 Warm White LEDs on clear cable provides a battery-operated Christmas lighting set for indoor and outdoor use, where electric sockets are unavailable. 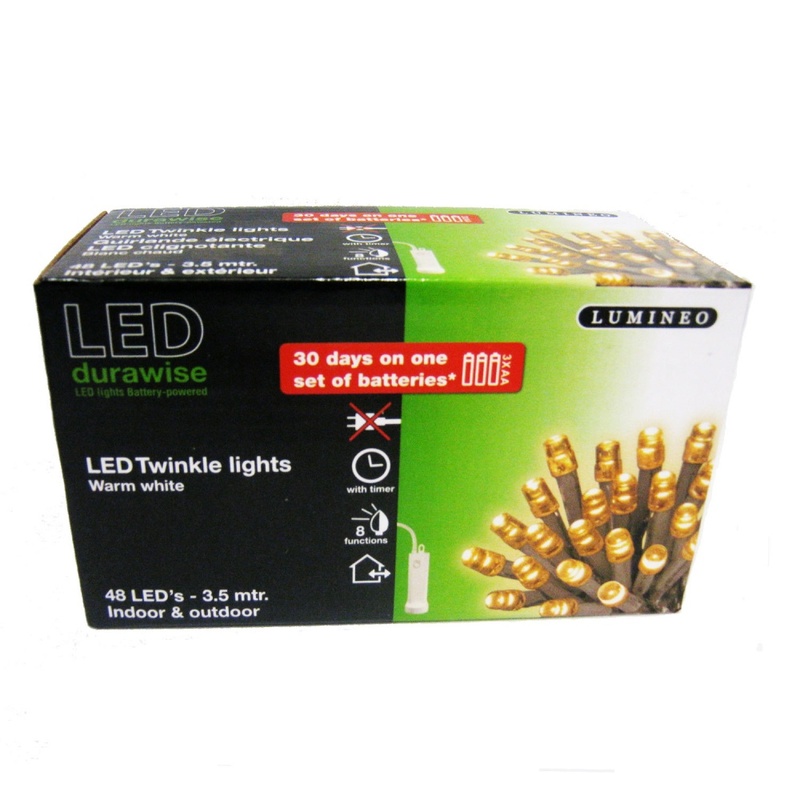 LED Durawise technology ensures lights will operate for the Christmas period of 30 days on one set of batteries. 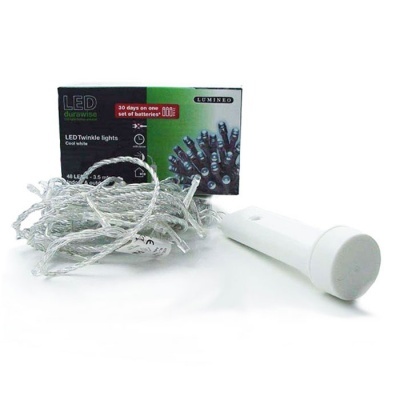 Easy use 'Press Once' timer ensures the lights will illuminate automatically at the same time each night for 6 hours then switch off.